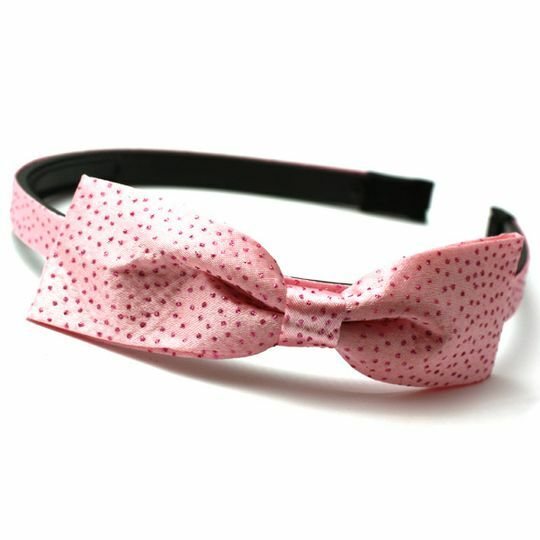 This pretty alice band has a large pink bow and is covered in pink glittery spots. The band has grips to ensure its is secure. A very feminine fashion accessory.